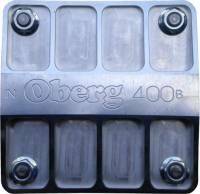 Oberg filters have been protecting race engines for over 30 years now. Following the success of the original Oberg 600 Series, Tattle Tale, Daytona and UFO Filters, we are now offering the Billet 600 Series Oberg Filter, milled from 6061 T6 Aircraft Aluminum. This filter offers the same great features with less weight and more strength. Pit Stop USA is The Online Motorsports Superstore! We feature Fuel Filter Elements & Parts at low everyday prices. Pit Stop USA is The Online Motorsports Superstore! We feature Inline AN Fuel Filters at low everyday prices. Pit Stop USA is The Online Motorsports Superstore! We feature In-Line Oil Filters at low everyday prices. Pit Stop USA is The Online Motorsports Superstore! We feature Screen Type Oil Filters at low everyday prices. Oberg filters have been protecting race engines for over 20 years now. Following the success of the original Oberg 600 Series, Tattle Tale, Daytona and UFO Filters, we are now offering the Billet 600 Series Oberg Filter, milled from 6061 T6 Aircraft Aluminum. This filter offers the same great features with less weight and more strength. These screens are also commonly used in tag-along filters produced by Holley, Morosso and Racor and are perfect replacements. Standard screens use a Nitrile Buna N 70 seal molded to the screen. 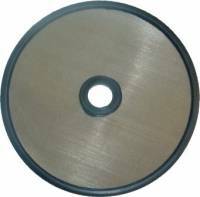 For alcohol, methonal and high temperature applications Viton seals are recommended. When ordering screens please make sure you choose the screen with the seal you desire. We carry 4, 6, 8 and 9 inch replacement screens in 28, 60, and 115 absolute micron for all your Oberg Filters. 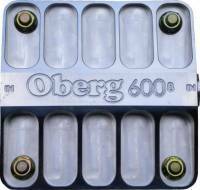 All Oberg Race Products are constructed using aircraft grade components. 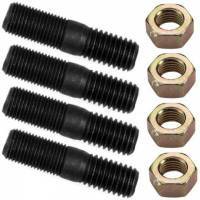 All components are machined to exacting standards to provide you with trouble-free yet affordable engine protection that pays for itself time and again. Oberg Filters is a wholly owned subsidiary of Oberg Manufacturing, Inc. and specializes in manufacturing innovative engine products. Our products have protected race engines throughout the U.S. and abroad for over a quarter century. Through our extensive racing knowledge we have developed products for both the professional and weekend racer alike. Due to the respect Oberg Filters has gained in the racing community, we have found our customer base expanding into a variety of other applications.